There are some changes in the pipeline! The first is that this blog has moved, from anson-s.blogspot.com to anson-s.calebgrove.com. If you send your browser to the old URL, it will redirect you. Fairly soon, I'll have my personal website up at calebgrove.com. The plan is to have two blogs, both of which will be fully incorporated into the website. This way you can read one or read both with ease. This will also mean another redesign! In addition, I finally got my own iMac. Pretty, huh? Yes, I did take that picture. You have a non-first-gen iMac? 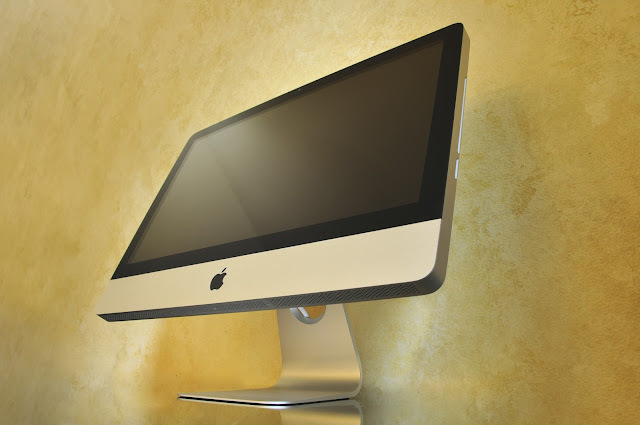 What is a first-gen iMac? The first line of iMacs ever made. Inherently weak, holds 2GB ram, comes with a crappy mouse (and its replacement is on its last legs), GPU sometimes burns up when you try to play games on Kongregate. Ouch. It that what you play with? I didn't know you had your own domain. I didn't until now. Once I found out that calebgrove.com had not been taken, how could I pass it up? How did you obtain it, anyway? Did it cost you anything? I got it though name.com. It set me back $11 (per year). Awesomeness, schnazziness, groovy, and all that other stuff. Also, great shot.